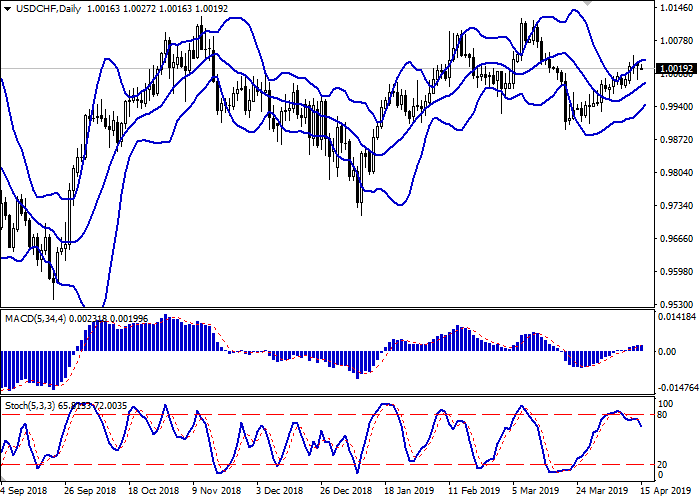 On Friday, USD moved in different directions against CHF, closing with a minimal “bearish” advantage. In the first half of the day, the instrument declined steadily, being under pressure from optimistic macroeconomic statistics from China, as well as data on EU industrial production, which was significantly better than negative forecasts. With the opening of the American session, the balance of forces in the market has recovered, despite the fact that there have been no optimistic macroeconomic signals from the United States. Today, during the Asian session, the instrument also trades in different directions, awaiting the appearance of new drivers in the market. The investors are focused on Producer Price Index and Import Prices in Switzerland for March, as well as data on Manufacturing PMI of the New York Federal Reserve Bank in April. On the daily chart, Bollinger bands grow steadily. The price range narrows, reflecting the emergence of ambiguous trading dynamics in the short term. The MACD indicator smoothly reverses downwards, keeping the buy signal (the histogram is above the signal line). Stochastic is falling more actively, indicating the possibility of a corrective decline development in the super-short term. A downward correction may appear in the short and/or short term. Resistance levels: 1.0045, 1.0062, 1.0097, 1.0123. Support levels: 1.0011, 1.0000, 0.9976, 0.9952. 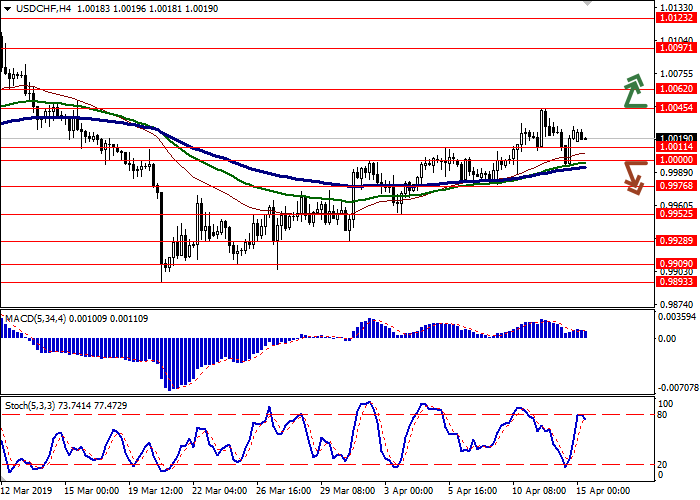 Long positions can be opened after the breakout of levels 1.0045–1.0062 with the target at 1.0097 or 1.0123. Stop loss is 1.0030–1.0020. 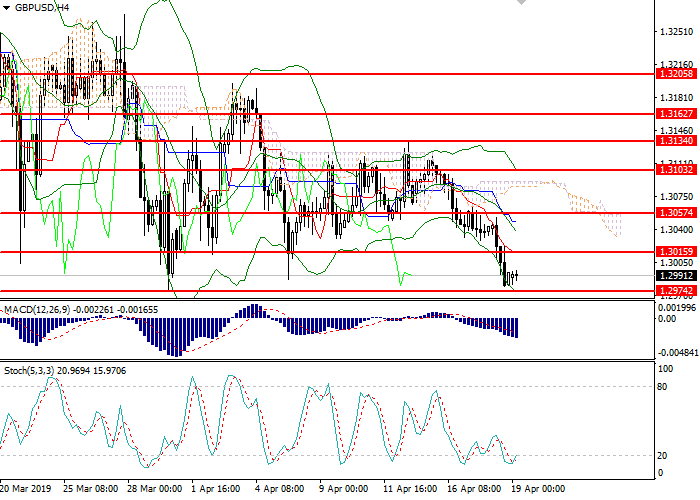 Short positions can be opened after the breakdown of the levels 1.0011–1.0000 with the target at 0.9928 or 0.9909. Stop loss is 1.0025.